With a little help from our friends---and neighbors. Linda Desmond from Northampton Neighbors discusses her program on Valley Free Radio's "Kickin' It For Peace, Culture & Education." For some seniors, a cultural shift and a vital volunteerism. 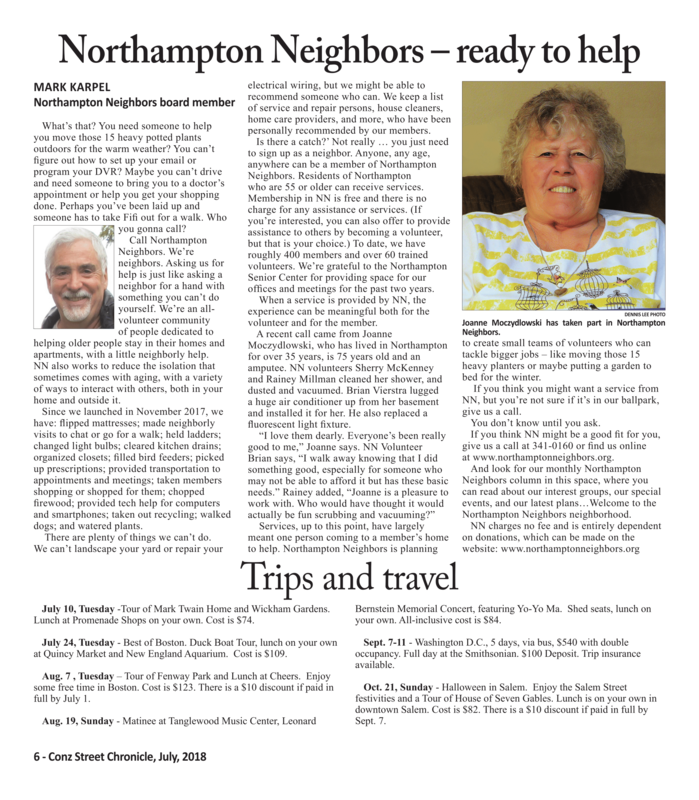 Northampton Neighbors, a nonprofit dedicated to helping seniors improve their quality of life and stay in their homes, has received its first grant. 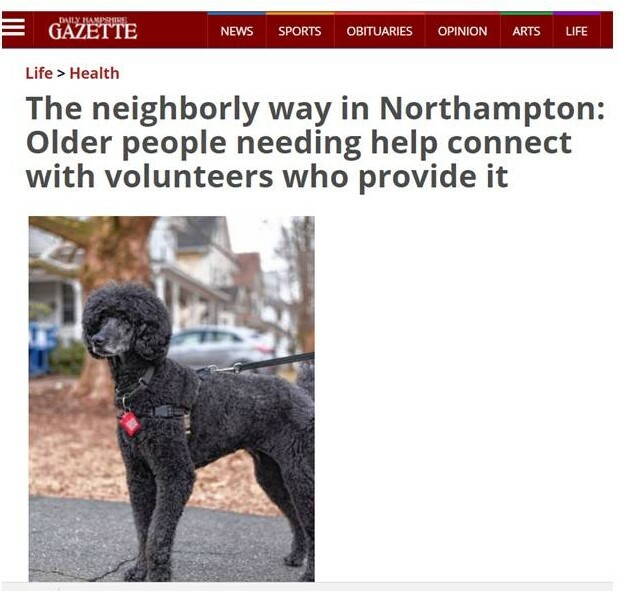 “We are thrilled with this award,” said Leigh Bailey, a founder and former president of Northampton Neighbors, who does publicity for the nonprofit. “We’re very, very excited about it,” said Northampton Neighbors President Katharine Baker, who helped write the grant. Northampton Neighbors lands grant to expand programming. Leigh Bailey and Katharine Baker talked about Northampton Neighbors on WWLP's Mass Appeal on March 7, 2018. 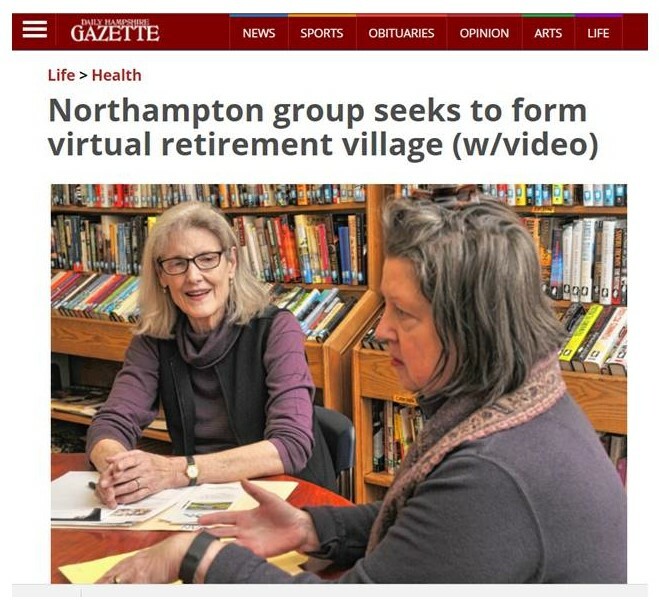 Watch the video here..
Northampton Neighbors was featured in the Daily Hampshire Gazette on March 6, 2018. Read the article here. 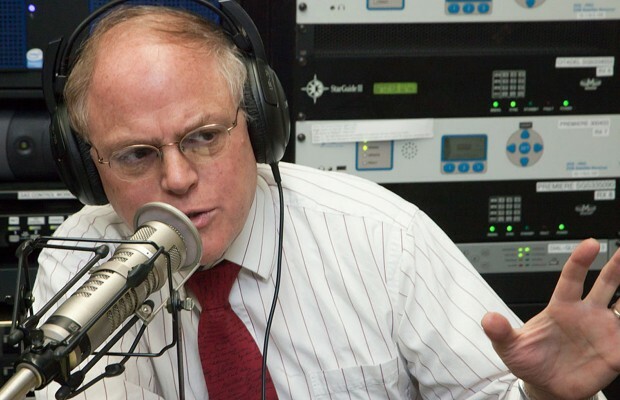 Listen to the Podcast: Board Members Leigh Bailey and Katharine Baker talked about Northampton Neighbors on The Bill Newman Radio Show on February 10th, 2016 (starts at minute 16:35). Click here to listen..
Northampton Neighbors in the Daily Hampshire Gazette on February 6, 2017. Read the article here.